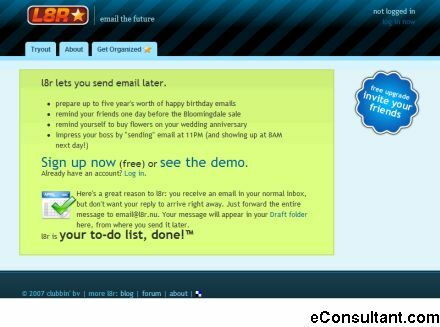 Description : l8r is a service that lets you send email later. – Prepare up to five year’s worth of happy birthday emails – Remind your friends one day before the Bloomingdale sale – Remind yourself to buy flowers on your wedding anniversary. etc.